The captain of the doomed Costa Concordia is due to return to the wreck today (Thursday). Judges in the city of Grosseto agreed to a request by lawyers for Francesco Schettino, who demanded that he takes part in a survey of the ship. The request came as a team of lawyers and experts were due to inspect an emergency power unit on the 11th deck of the Concordia, which allegedly did not work on the night of the shipwreck in January 2012. It will be his first time back on the ship since it hit rocks off the island of Giglio in January 2012 and capsized, killing 32 people. The visit is part of an investigation at Schettino’s trial, where he is accused of manslaughter and abandoning ship. He denies the charges. If found guilty he could face up to 20 years in prison. Schettino is due to board along with inspectors, but will not be allowed to interfere with their investigation. He would be allowed onto the ship “as a defendant, not a consultant”, said Judge Giovanni Puliatti. The captain has been accused of leaving the vessel before all 4,229 people on board had been evacuated. But he denies abandoning the ship after it hit a reef near the island. He maintains he managed to steer the stricken vessel closer to shore so it did not sink in deep water where hundreds might have drowned. An Italian court convicted five others of manslaughter last July. They had all successfully entered plea bargains, while Schettino’s request for a plea bargain was denied by the prosecution. Concordia was set upright in an unprecedented salvage operation known as parbuckling in September. It isn’t easy to reinvent the wheel, so one has to give it to the river cruise lines for getting creative with itineraries that go up and down the same rivers week in and week out by crafting unique and engaging themed departures. River cruise companies have been toying with themed river cruises for years —holiday-themed winter cruises came onto the scene several years ago as a way to extend the river cruise season and continue to be a mainstay in all the river cruise lines’ brochures — but they’re getting more innovative with themes and definitely having more fun with it. AmaWaterways’ wine-themed cruises have become so popular that the line now dedicates an entire brochure to its In Celebration of Wine cruises. The company also hosts Jewish heritage cruises, chocolate-themed cruises and even knitting cruises: AmaWaterways will have a “Knitting New Year’s Cruise” this year on the Danube, which will showcase the latest in luxury yarns, forums on fashion trends, and classes on new stitch patterns and techniques. The knitting cruise was suggested by one of AmaWaterways’ travel agent partners and will be hosted by Barry Klein, owner of Trendsetter Yarns in Los Angeles. For 2014, Avalon Waterways increased its special-interest cruises by 30% to meet demand, adding beer-tasting, golf, wellness and World War I history cruises to an already innovative roster of themed cruises. They also offer cruises based around the themes of art and impressionism, authors, food, wine, music, Jewish heritage and history. Tauck, too, has culinary, art and music-themed cruises. There are also themes that are more timely, such as the 70th anniversary of D-Day, which many river cruise lines have incorporated into their France itineraries, including Uniworld Boutique River Cruise Collection. And stateside, American river cruise lines have endless themes to enhance their Mississippi and Pacific Northwest river itineraries. The American Queen Steamboat Co. has cruises centered on baseball legends, Mardi Gras, music of the 1950s and 1960s, Elvis, bourbon and bluegrass, and many others. American Cruise Lines has Mark Twain, Lewis and Clark and Civil War cruises, and for the American foodie, lobster cruises and crabfest cruises. Not convinced by river cruising? Perhaps you’ll be lured in by your love of shellfish … or knitting … or bourbon. Pick your poison. 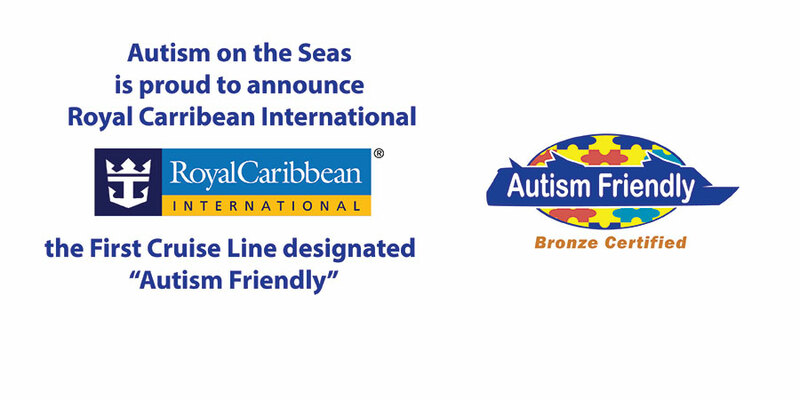 Royal Caribbean International said it is the first cruise line to win fleetwide certification from Autism On the Seas, a group that helps families with autistic members with their vacations. The certification requires that a cruise line make certain accommodations for autistic passengers, including special staff training. The guidelines also include providing sensory related toys, autism-friendly modification to youth activities, autism-friendly movies, priority boarding, dietary offerings (including gluten-free and dairy-free), and several modifications to services for groups of guests with disabilities. Lisa Lutoff-Perlo, Royal Caribbean’s executive vice president of operations, said the cruise line has been working with Autism on the Seas for more than seven years. The organization is taking a staff cruise on Serenade of the Seas on March 8. On its website, Autism on the Seas said it also works with Carnival Cruise Lines, Celebrity Cruises and Disney Cruise Line.